Besides excelling in the Dairy categories, Shalom also has done wonderfully in the Show Ring---she won her 2nd GCH in the only show we attended in 2013, and also took Best in Show---a rare feat for a Nigerian. 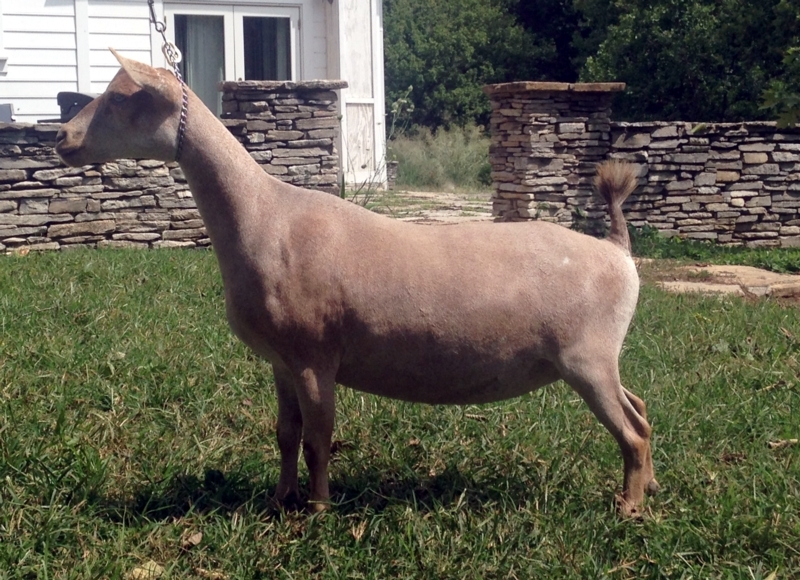 In addition, we are so blessed to announce Shalom is the 2013 ANDDA All-American 3 Year Old Senior Doe. Its icing on the cake that she throws beautiful kids---both easily won Reserve Grand Champion as Juniors, the doe (Lizzie Bell) won the ANDDA All-American Yearling Junior for 2014... and this year's babies are simply stunning!